Dr. Donald J. Stewart, an ESF professor who recently discovered a new species of the giant Arapaima fishes native to South America, will present a lecture March 26 about conservation efforts for these air-breathing fishes, which are flagship species for diverse Amazonian ecosystems. Stewart's presentation will be the third Dale L. Travis Lecture, supported by a gift from a 1959 graduate of ESF. The lecture will be at 7:30 p.m. March 26 in the Gateway Center on the ESF campus. Stewart's work focuses on ecology, conservation and management of freshwater fishes and their ecosystems. He has worked with Arapaima in Guyana and Brazil since 2006. The fish are significant ecologically in addition to being a major food source for people who hunt them. 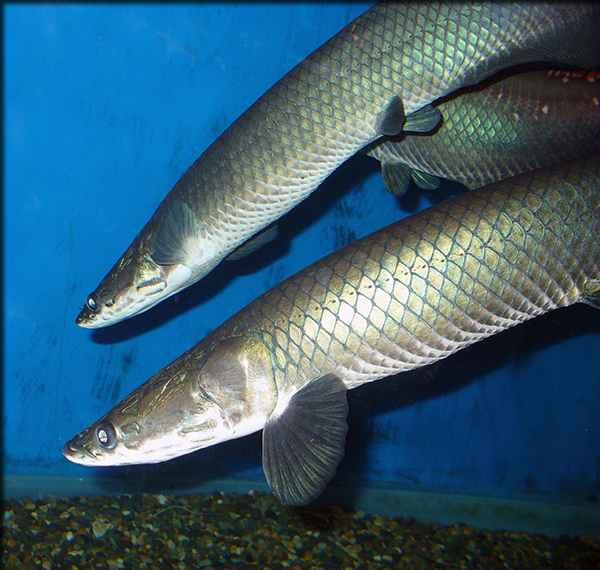 Overfishing has depleted the numbers of Arapaima around human population centers. Communities have established programs to manage populations, but knowledge of the fishes' biology is sparse. Stewart's integrative research program encompasses learning more about the movement, diet, growth, reproduction, taxonomy, and population genetics of Arapaima species to help shape management and to conserve their diversity.